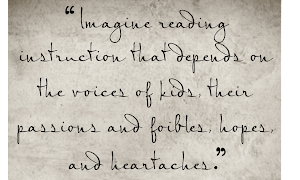 A few years ago, I was working with a teacher as a literacy coach with her third grade class. It was the month of April and to celebrate National Poetry Month, I introduced the students to numerous authors and forms of poetry. A favorite of the class was working with Scholastic's Poetry Idea Engine. This engaging and interactive site is appropriate for younger students as well! Project onto your interactive white board and it makes for a fun shared writing activity! 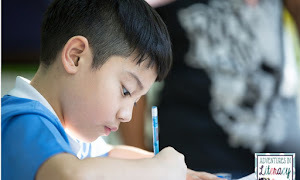 Also on Scholastic is the "Writing with Writers" section where students in grades 1-8 can listen to poets such as Jack Prelutsky, Karla Kuskin, and Jean Marzollo read their poems. 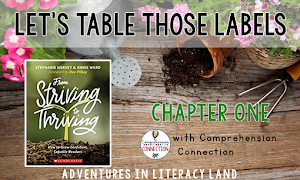 As well, these authors offer writing tips and mini writing workshops. You can check out this activity here. However, one of the highlights of our poetry study was celebrating "Poem in Your Pocket Day". After students had read various poems from diverse authors, we were ready to prepare for our celebration. Poem in Your Pocket Day is celebrated this year on Thursday, April 24. Started in 2002 in New York City as part of the the city's National Poetry Month celebration, the idea quickly spread across the country. This is a day when people of all ages select a poem that they have written or one by a published author and carry it (in their pocket!) with them to share with others throughout the day. Click the picture below to visit the Poets.org website for more information and resources. 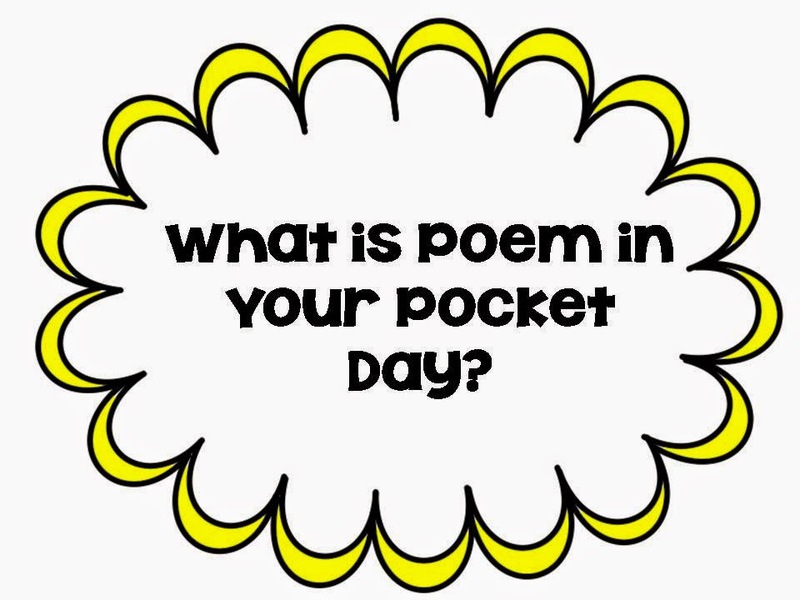 A few days before April 24, introduce students to Poem in Your Pocket Day. See here for a poem by Beatrice Schenk de Regnier for which this day was named after. Have them select one poem to keep in their pocket. This could be an original poem that they wrote or one of their favorite poems. Many of my students selected poems by Jack Prelutsky and Kenn Nesbitt. Have students copy their poem. Scholastic has a free printable stationery sheet that you can use. Click here to view and download. I had students write two copies of their selected poem. One copy they kept in their pocket to share with others throughout the day and the other copy we displayed in the hallway for all the students and staff in the elementary wing to read. Many of my students chose to illustrate their poems as well! read.write.think has an extensive lesson plan including a stapleless writing tool that students can use. Make an accordion book that is perfect for students to keep in their pocket. Click the picture below to download a free template. Jack Prelutsky (I love all his works, but his book, My Parents Think I'm Sleeping) is one of my favorites. Brod Bagert- His Chicken Socks and Other Contagious Poems is a hoot! And finally, for the younger crowd, Dr. Jean has many ideas for you to use with kindergarten and first grade students. Click here to visit her blog post for Poem in Your Pocket Day. 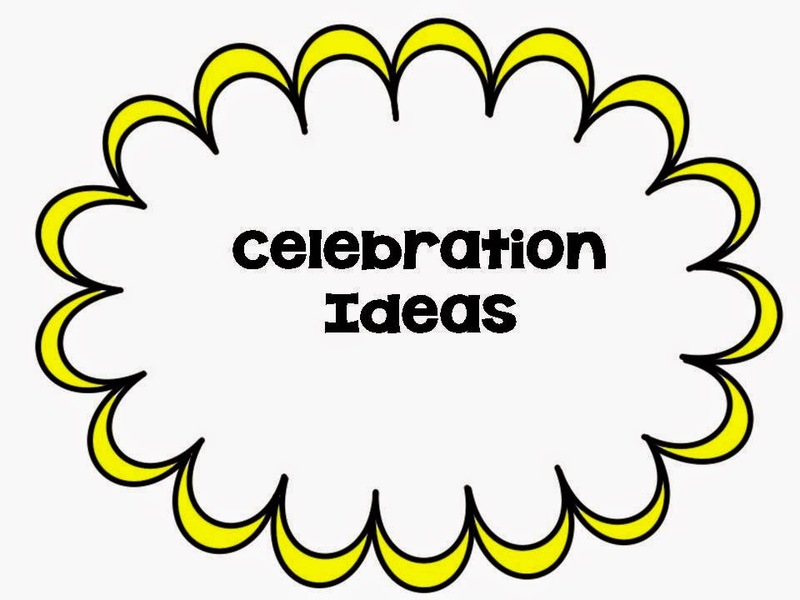 Hopefully, this is a good start for you to begin planning for your own classroom celebration. What poem will you be keeping in your pocket on April 24? Please share your favorite poem or author in comments.